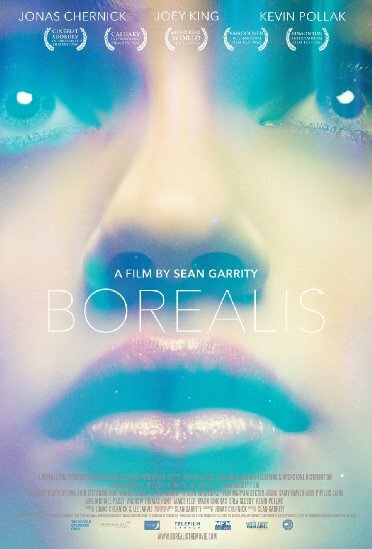 Borealis, written by Jonas Chernick and directed by Sean Garrity offers a warm-hearted story about Jonah, an unemployed gambler, whose main duty is to get to Churchill, Manitoba to show the Northern Light to his daughter, Aurora before she becomes completely blind. But due to his huge debt to local criminals, Jonah now must do his best to get to his desired destination alive. But that, as usually happens, easy said than done. When the film begins, we find Jonah gambling and as usual losing his money. But that is least of his problems, as once he takes Aurora to an eye specialist, doctor says that due to her vision disorder she will soon lose the ability to see. Despite being in a dangerous situation, Jonah as a caring father decides to fulfil his daughter’s dream to see the Northern Light. However, unexpected guests Tubby (Kevin Pollak) and Brick (Cle Bennett) make Jonah’s mission harder. During their visit, you find them emptying the entire house. Moreover, Tubby takes Aurora`s beloved dog with him as guarantee that Jonah will pay his debt. However, soon due to Tubby’s uncontrolled temper the poor doggie gets killed. When Jonah decides to run away along with his daughter, his gambling addiction and troubles start following him like a tail. Despite that, and the danger both have to face on their way to Churchill, Jonah and Aurora develop a unique connection that they did not have before as a father-and-daughter. His kindness and willingness to do anything for his daughter makes him to close his eyes to her pot-smoking habit as long as it makes her happy. However, Jonah finds it difficult to confess to his daughter the real reason of rushing to Manitoba… And who can blame him for not telling the truth except Aurora, who surely has the right to know that most likely by end of her trip the only thing she will see is complete darkness. In conclusion, BOREALIS is a surprisingly sweet film with a few dynamic scenes. It’s main target is to explore a father-daughter relationship at one of the most difficult situations. It shows that family bond is one of the most important thing unless you deny it. Jonah as a father might fail to look after his daughter, but one thing he does better than any father in the world – despite there being only hair’s breadth between him and the Northern Light, he makes the right choice to make his daughter’s dream come true.